During more than 35 years as a travel writer and editor, I have visited, researched and photographed destinations in nearly 100 countries and taken cruises around the globe on both large and small vessels. My travel experiences span all seven continents, including close encounters with penguins and leopard seals on an Antarctica cruise, sea lions and tortoises in the Galapagos Islands. I enjoyed lots of wine and cheese on a barge trip through Burgundy, celebrated a big birthday among icebergs off Newfoundland and introduced my kids and grandkids to the joys of cruising in the Caribbean. 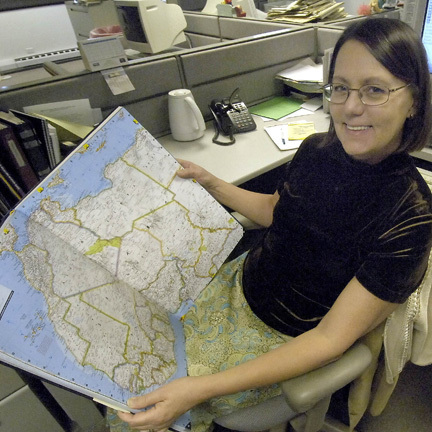 My travel journalism career began at the Daily Herald, a Chicago suburban newspaper where I edited an award-winning travel section for many years before giving up the editor’s chair for a career as an independent travel journalist. My work appears in magazines, major metropolitan newspapers and a smattering of websites. I’m a member of the Society of American Travel Writers (SATW) and Midwest Travel Writers Association (MTWA) and have won numerous awards, including SATW’s highest named for author and intrepid traveler Lowell Thomas. When I travel—by sea or on land—I do more than look at the sights. I learn about the history and culture of places and ports of call and get to know the people. When I’m in port, my favorite way to explore a city is on foot, poking about in shops, walking through parks and along the streets, taking in the architecture and historic sites and stopping for a coffee or glass of wine at a neighborhood cafe. There are more countries to see and cruises to take. I’m always ready to pack up my camera and notebook to share my experiences.